Preparing for a civil case is not only lengthy, but will no doubt be costly and time consuming. The more work and preparation you do on your case, the less you will pay in attorney fees. Too many cases go to court without proper evidence or preparation on your behalf. Dont make the mistake of assuming your attorney knows all about your case and will spend weeks gathering evidence prior to trial! If you find yourself in a civil suit, the searching, gathering and preparing of evidence is up to you. So, prepare, prepare, prepare! III conducts civil investigations both private and corporate. We will provide background checks on employees, business partners, neighbors, boyfriend, or fiancé etc. If you are a landlord, pre-screening tenants can save time, aggravation and money. 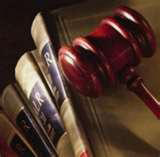 Prevent the loss of rental income by prescreening tenants for criminal history and judgments before accepting payment.